1. from a bird’s eye view, rear wings are in line with the arc from the rear of the boot. i.e. they are forward of the boot line. 2. the front and rear tips of the rear wing are parallel to the ground. 3. the rear of the front wing is lower than the tip levels noted in 2. 4. the crests of the front and rear wings are on a line parallel to the ground. 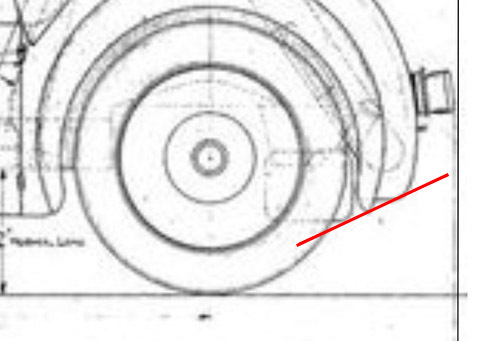 The distance from rear wing tip to tip is 30.1″ on the blueprint (as in the image under point 2, above). Mo Fuller told Chris Gould that differences in early and late rear wings existed; Mo’s brother had a car with different wings to his own. 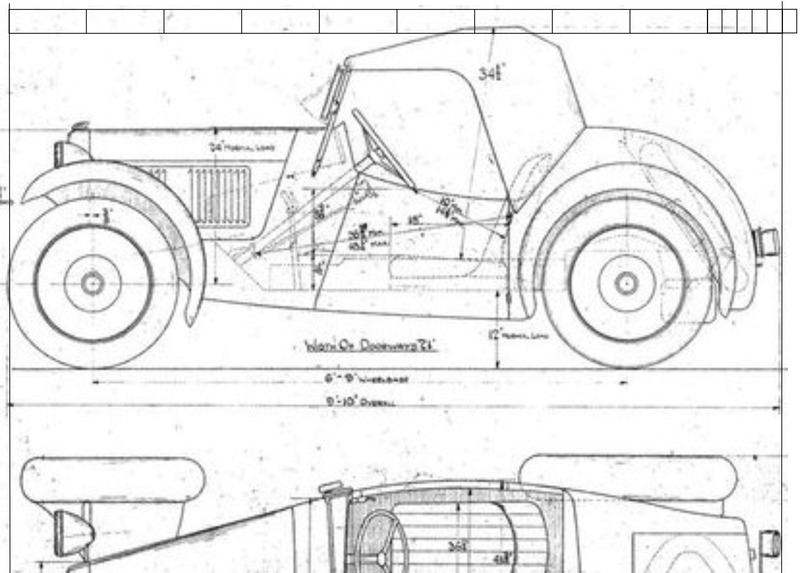 Enquiry has yielded several earlier cars with far larger dimensions on each side than the later cars, which (ironically) better seem to support the tight radius of the factory drawings. Would you put a tape measure to this distance and email your results please if you haven’t already? Also whether you have what might be original car fit but resulting in design characteristics different to the above. The panel behind the door hinges slopes back inward after the maximum car width at a point toward the rear of the door, giving one sinuous line from front to rear of the car when viewed above. At its narrowest point, the horizontal measurement of the panel is only about 1.5″. The angle made by the front edge of the rear wing with the body is LESS than 90 degrees; due to over half of the rear wing front face being exposed. The angle made by the outer bodywork and the bodywork ‘recess’ that the lower front edge of the wing enters is far MORE than 90 degrees – more like 120. 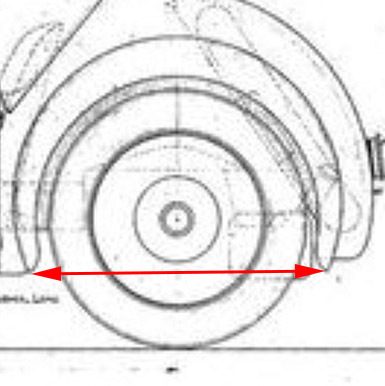 This post got shelved some 12 months back after some good feedback on wing forms but I’m posting it now as it still seems valuable for those looking at cars generally.. and also to see if people are in agreement with principles. Previous Previous post: Lost in Wales?